My PCM unit has decided to work on/off whenever it wants. 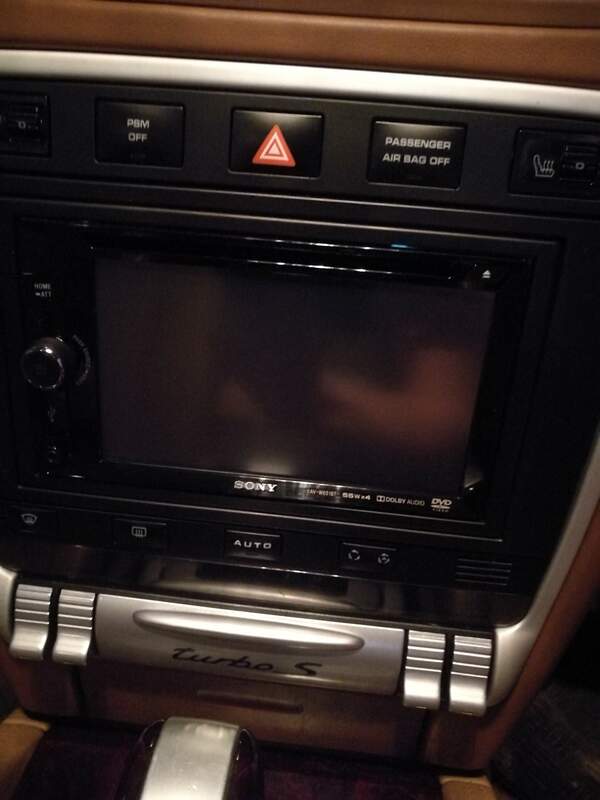 I have seen after market android head units on ebay for cayennes around £300, would these cause any isssues electronically on installation and have you ever seen one installed? also, the branded head units that halfords sell, are any of them compatible with a cayenne and how difficult can they be to install? Cheers guys , hopefully the mod can move this if it's not in the right section , sorry in advance . From my own research, those Chinese android units are garbage. They seem to do a lot, but in reality are unreliable and the sound quality is poor. I met someone with the more expensive Dynavin unit and he said he had to keep pulling it out of the dash to pull the power plug as it kept freezing. Its certainly a tidy install and sounds good to me. You can pair with NFC and make calls. Using a Sony app Songpal gets SMS notifications and voice control, but I've not used this yet. No NAV, I think thats an extra module. thanks chrali, that's awesome. I'm assuming Halfords or anybody like that could fit and install this? or somebody with more knowledge? Yes any competent car audio place should be more than able. I'll leave it to you to decide if Halfords fits that description lol . Upsides for me is primarily bluetooth streaming, downsides are that your steering wheel multi function buttons wont work (at least mine dont). Also you lose some PCM functionality. One example is the fuel consumption stats, I can only select the average mpg to show in the dash lcd, whereas the PCM showed more stats at once. The headunit seems to be £250+ and about another £250+ for the nav module if you want it and then you've got to factor in labour costs for fitting, so not exactly the cheap option. I'd be interested in knowing what you decide to do.